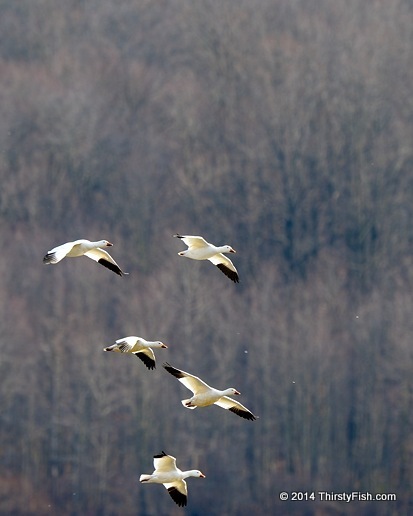 Snow Geese photographed at the Middle Creek Wildlife Management Area in Pennsylvania. Snow Geese love company. They rarely travel without the company of at least a dozen other geese and can form flocks of a few hundred thousand.